Charming Lady Luck is a slot machine that is all about luck, which explains the title that 1×2 Gaming has chosen for the game. The game has a traditional format that has 5 reels and hosts a total of 9 bet lines across these reels. 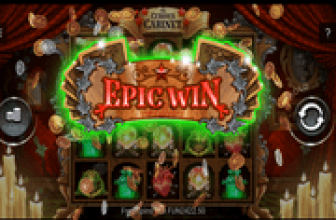 Being a 1×2 Gaming slot means that the game has an exciting theme that is offered to players in top notch visuals and sounds effects. It also means that the slot machine has plenty of generous line pays for players who form matching combos, as well as a great set of special symbols. The best thing is that you can give this game a spin right here, to test the waters before placing real money bets on the game at any of the recommended casinos. The game’s theme is about luck, or as some call it, Charming Lady Luck. This is why all of the symbols and the visuals of the slot machine represent the different things that are always associated with luck. This include the green fork leaf, a golden Irish pot, a horseshoe, a lady bug, a crystal ball, and none other than the human embodiment of luck, the red headed charming Lady luck who has a lot to offer to players. There are also the traditional low paying icons that are represented by the poker card symbols. The different pays that each symbol can give is listed at the paytable of the game that can be easily opened by players by clicking on the orange colored paytable button that is found on the bottom right side of the game’s screen. The game has 3 betting options, like most 1×2 Gaming slots. These betting options are the number of lines to trigger, the coin value and the number of coins on each of the lines. Players will the spin the reels through the spin button, or with the Auto Bet function that sets a number of spins in advance. The game has the scatter paper lamp icon that can trigger scattered multiplied rewards, but these lamps will only appear to players during the free spins round. Speaking of which, the game’s free spins icon is the crystal ball that would trigger up to 25 free spins when 3 or more land on the reels. Lastly, there is the wild icon, which is Lady Luck herself. 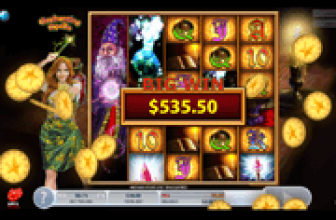 Charming Lady Luck is a 1x2 Gaming powered slot game that has 9 lines and it is about luck, or how people call it , Charming Lady Luck. 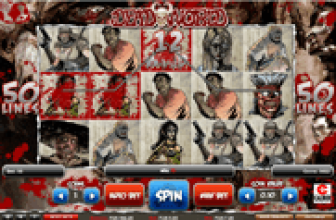 Spin the reels and test your luck and earn great rewards in return.